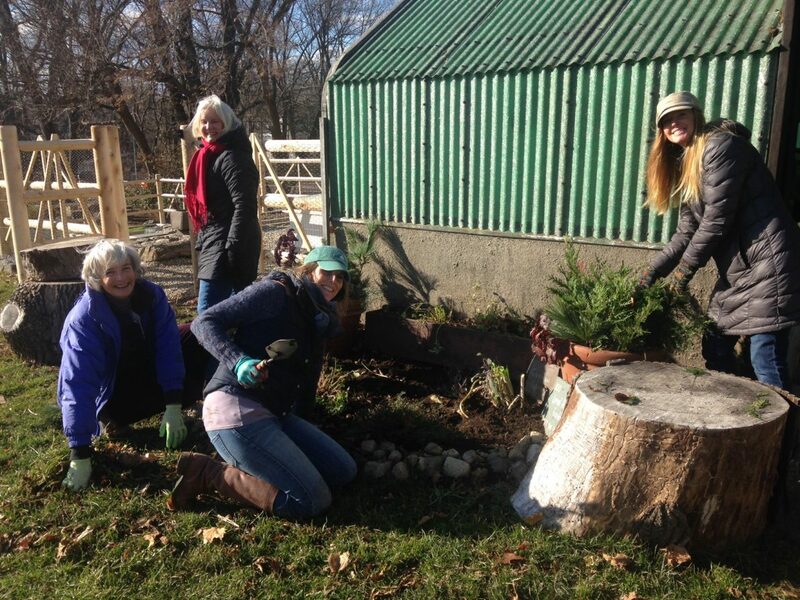 A valiant crew braved gusts of wind on an otherwise mild and sunny December day to neaten up the Potting Shed beds for winter. Pictured here are just a few of the diligent souls who got the area neat and clean, cutting back perennials, raking leaves and filling planters with lovely greens for the next few months. Bravo!